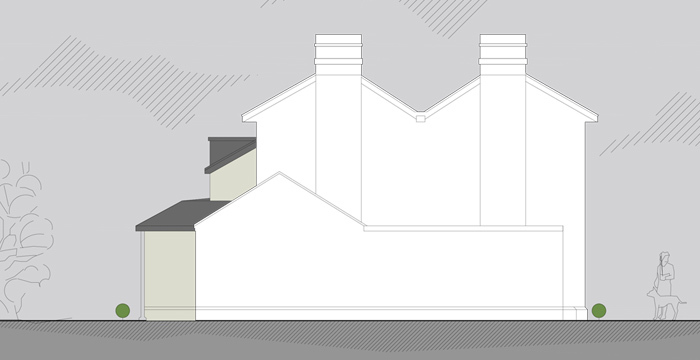 Kree8 were asked to design a period style addition to an existing Georgian building in Crowcroft, Malvern. 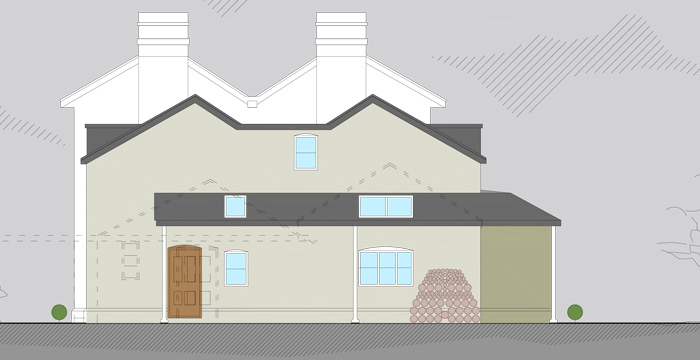 Kree8 liased with the conservation officer and submitted drawings to Malvern Hills, District Council to obtain planning permission for the extension. 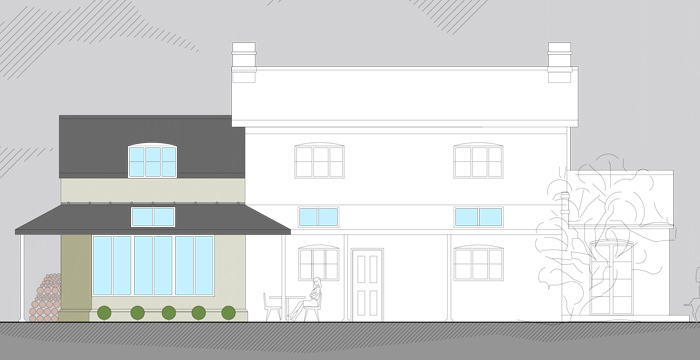 The overall look was to be coherent in terms of blending in with the original property. The accommodation provided included a new front porch, a generously sized kitchen and dining area with 1st floor sleeping and washing spaces. 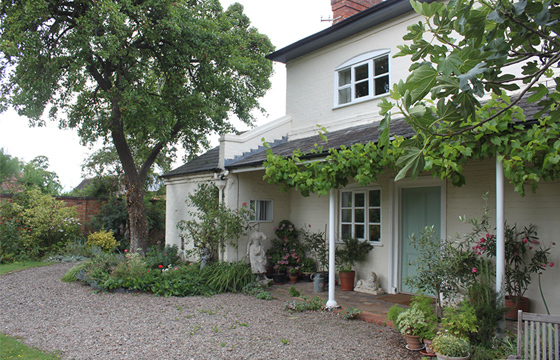 The extenal apperance on the front elevation was subserveant to the main dwelling, however the rear introduced an elemant of surprise by the use of a large feature bay window to capture the beauty of the malvern hills in the distance. The perimetre of the building was finished with a walkway canopy with period cast iron posts to match in with the existing building. A extreemly spacious addition which fully met the clients needs and aspirations. 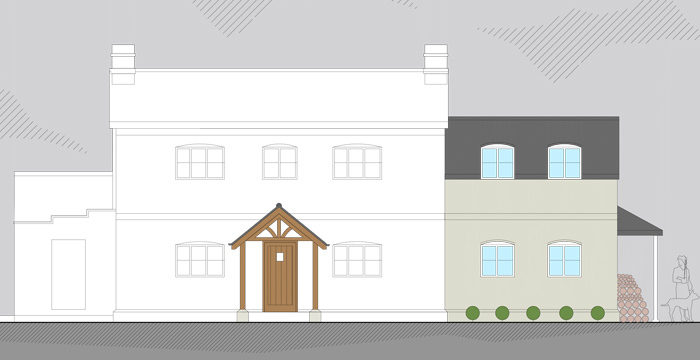 Thank you so much for your time and efforts in achieving planning consent and capturing our aspirations for the property.